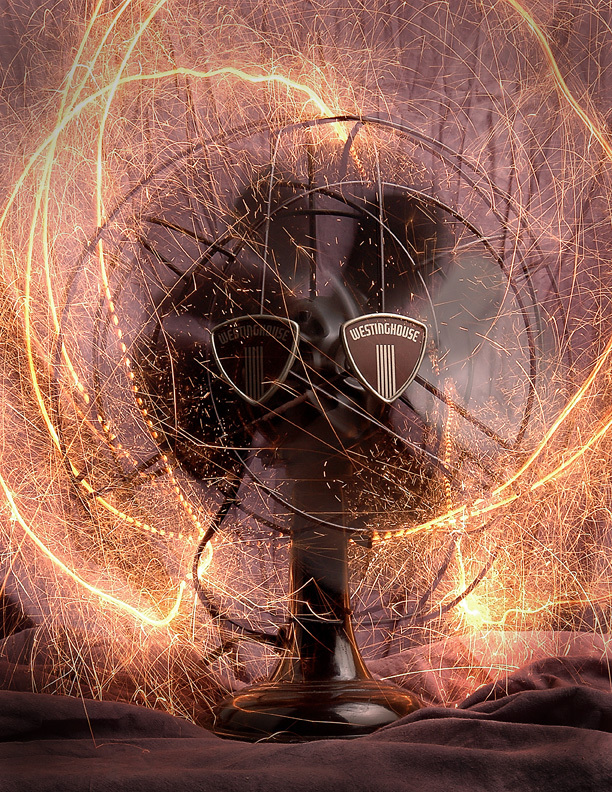 Composition, Color, and Craftsmanship define today's digital photographer. If you enjoy taking photographs - consider making it a career or taking classes for personal interest. Photographers need to have a good eye for composition, imagination, and creativity, as well as a good technical understanding of photography. The LCC Photo Program can help you achieve your personal and/or professional goals. The LCC Photo Program offers 18 courses ranging from the basics of camera operations, electronic imaging programs, lighting, and color to advanced courses in commercial illustration photography, portrait photography, and photojournalism. Whether you are an amateur photographer who wants to get better or you are an aspiring professional photographer, the LCC Photo Program can help you achieve your goals. We invite you to join us in celebrating this year's Lansing Community College Photography graduating class on Sunday, May 6 from 1-4 pm at the Keys to Creativity Gallery inside the Lansing Mall. Each graduate will have their complete Portfolios available for viewing and they are excited to share their work with you. 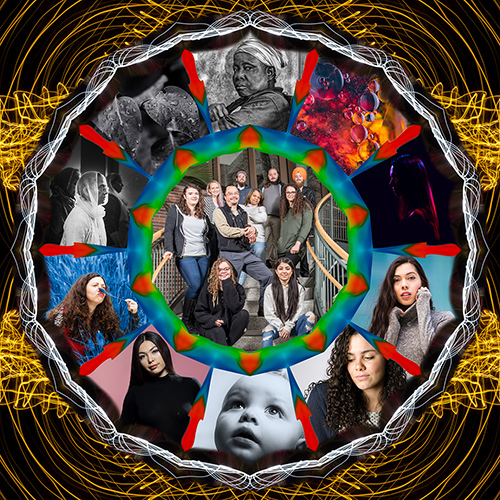 To produce their graduating portfolios, each student has selected their photographic direction and worked with an outside professional advisor along with LCC faculty to produce their final portfolio of images. Framed works from each graduate will remain on exhibit in the Keys to Creativity Gallery May 6 through May 27, 2018. This year's Photo graduates include: Dominique Bushon, Chris Cantin, Anna Crooks, Marissa Jenkins, Lori Kenerly, Kurt Kloenhamer, Aaron Miyasato, Angela Sands, Alyssa Schultz and Daniel Smith. 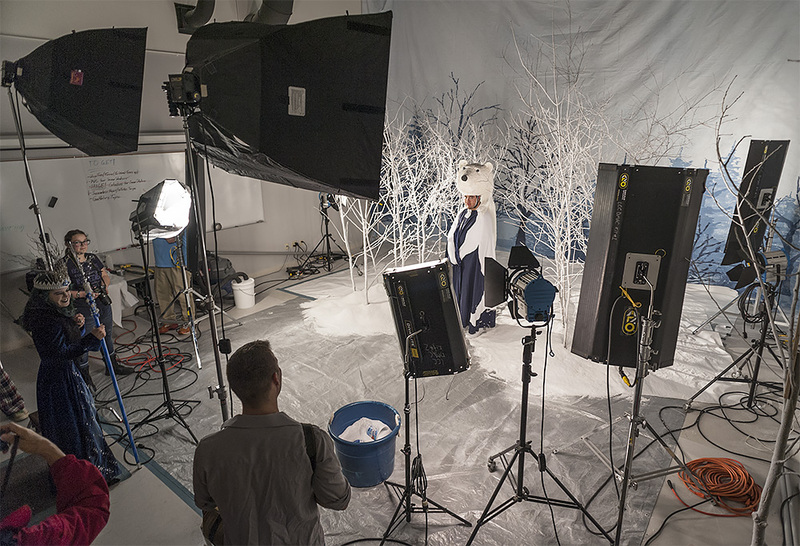 The LCC photography students transformed their photo studio into a Winter Wonderland the week of March 13th, 2017 as students from the Photo program built a fantastic snowy scene for a day of photographing costumed characters from the Snow Queen theater production. 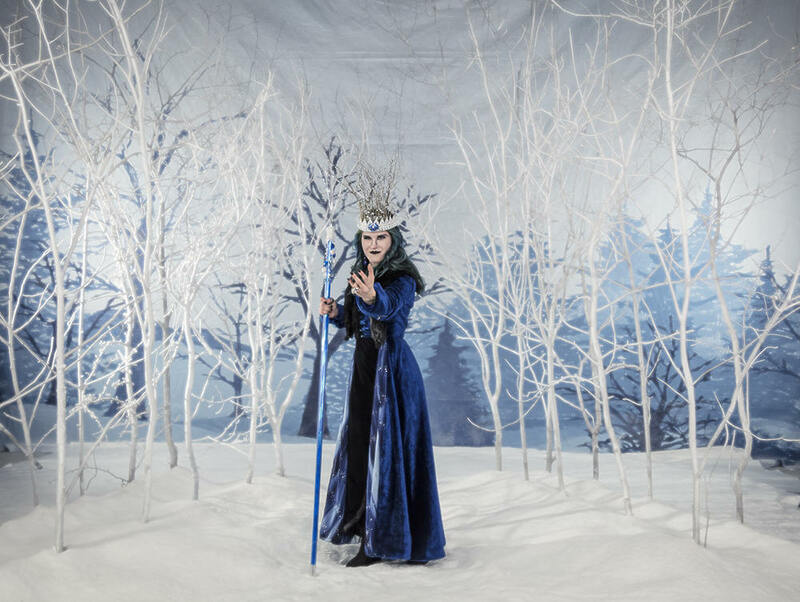 The large winter scene included 20 flocked trees, over 120 gallons of instant snow, 200 pounds of potato flakes and the 20 x 30 foot backdrop created for the Dart auditorium production. Seven cast members from the theater production were photographed by LCC photo students during the 6 hour photo session on Thursday March 16th. Setup of the winter scene started on Monday the 13th with construction of the set continuing through Thursday morning when over a hundred gallons of artificial snow were added to create the final scene. A large number of photo students participated in the even including helping to paint and flock the trees, mix artificial snow and lighting. LCC faculty member Jeff Hamlin and DMAC students also joined the fun during Thursday afternoon capturing video footage of costumed characters in the winter scene. Thanks to the LCC theater department, Bob Fernholz and the Snow Queen cast members for all of their help in pulling off a great project. Special thanks to the Costume Shop personnel and Marina and Morgan White. A special thanks also to Bob’s Red Mill for donating 200 pounds of potato flakes to use as snow and thanks to Ryan Cummins for helping to make it happen.